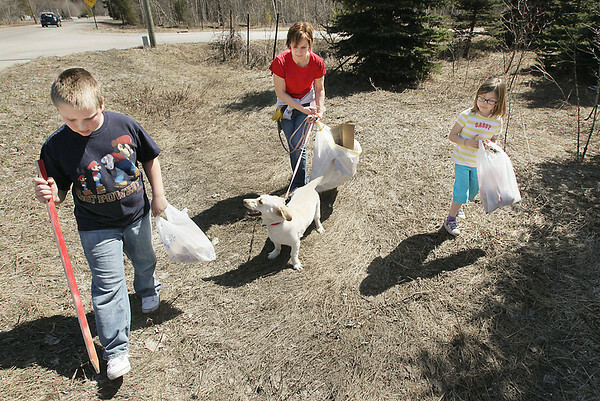 Lana Watkoski, center, of Elmwood Township, walks with her son, Robert, 9; daughter, Lindsay, 5; and dog, Cierra, as they pick up trash along County Road 614 (Fouch Road) near Watkoski Road. "I think we are all ready," Lana said about her appreciation of the mild temperatures. "And it doesn't matter what we're doing, even if it's picking up trash."